Building warrants are vital for any internal and external alterations and must be in compliance with the Building Standards. Before any work can get started at your property in East Kilbride a building warrant must be applied for and be granted by the local authority verifier. Here at our company we have a team who are highly skilled in building warrant drawings. These team members are highly experienced and make use of the leading facilities when they are producing building warrant drawings for customers in East Kilbride. When you use our company we will act on your behalf meaning that we will speak to the local authorities for you and then let you know what stage your application is at. Typically you can normally expect to wait 4-6 weeks for your warrant to be issued to you after it’s been approved. 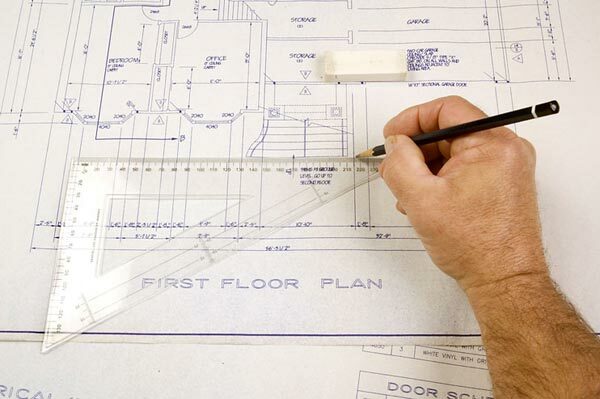 We charge decent prices for our building warrant drawings and would be more than happy to come out to your home/commercial property in East Kilbride to give you a free estimate. The price that we give to you is the price that you can expect to pay for our drawings, so there are no hidden extras at all. To speak to a member of our team about our building warrant drawings all you have to do is give us a call or alternatively fill out our contact form.